Preheat oven to 350°F. Line a 9x9” pan with foil and spray well with cooking spray. Cream butter and sugar in the bowl of an electric mixer fitted with the paddle attachment. (You can also use a hand mixer.) Mix for about 1-2 minutes until the butter and sugar is smooth. Mix in eggs and vanilla. Add baking powder and salt, mix to combine, then slowly add the flour. Mix until smooth. Press half of the batter into the bottom of the prepared pan. This batter is VERY sticky. You’ll want to spray your hands with cooking spray first. 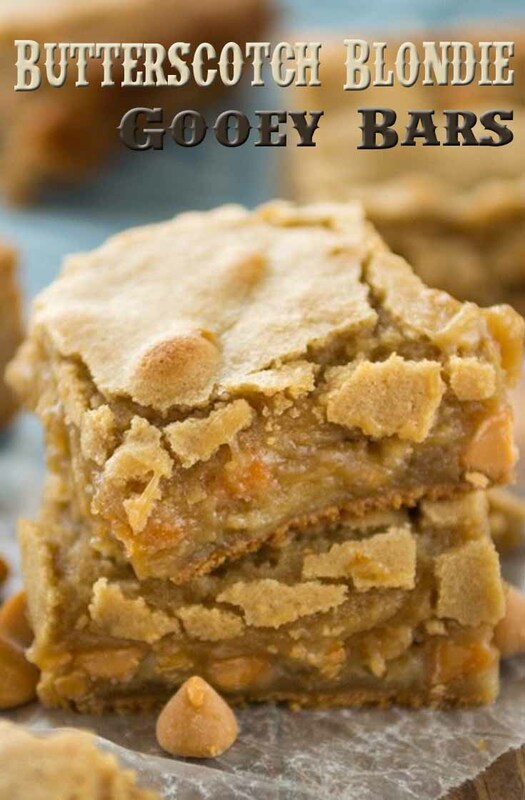 Sprinkle butterscotch chips and sweetened condensed milk over the top of the bottom blondie layer. Drop spoonfuls of the remaining batter over the top, spray your hands again with cooking spray, and press lightly to smooth out the top layer. Bake for 27-33 minutes until the top is browned and not jiggly in the center. Cool completely before cutting into bars.